How does weather affect home prices? With the holidays just around the corner, TV’s, cars, shoes, appliances, and everything else aren’t the only things going on sale. One reason is that people are often trying to get the most for their homes during most of the year and price their homes high. Then after months of paying a mortgage on a house they’ve been trying to sell, the seller finally agrees to lower the price — at the end of the year. It’s also a matter of supply and demand. 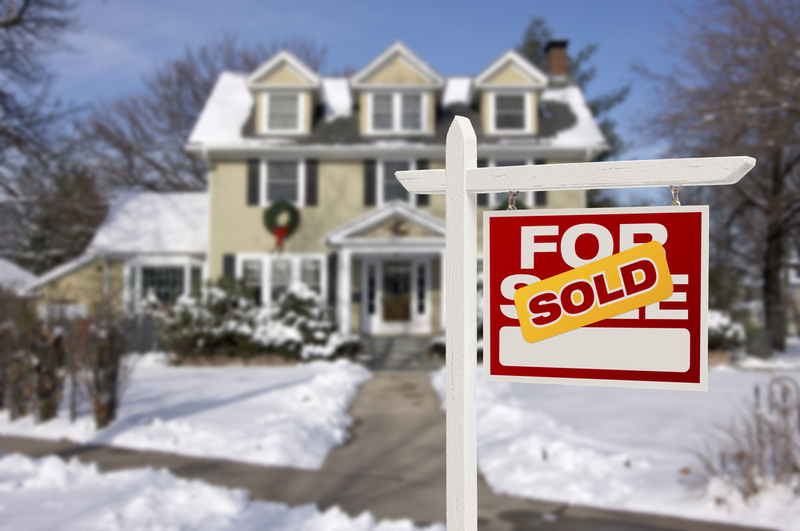 Typically, there are fewer buyers in the market during winter. Less demand leads to lower prices. Once demand rises, the prices will rise too. Typically, if a seller is putting their house up for sale during the winter that means that they either have to move or they really want to move. With the stress of the holidays, few people want to add the stress of listing their house and selling it. The more motivated a seller is, the more they’re willing to negotiate. Sellers that can wait until the right price comes along are harder to deal with. If a seller needs to sell, they’re willing to make a deal. Ultimately, you will be lifting a huge weight off of their shoulders. No matter the reason why they’re selling, the point is that their house needs to be sold. By purchasing their home, you’ve taken one more thing off their list that they no longer need to worry about. Winter isn’t the only good time to buy a home, but so is fall. Inventory tends to be lower during the fall and winter than in the spring and summer and you can still take advantage of homeowner tax breaks. If you’re looking for your next property to flip, now is the perfect time to buy. You can purchase your property during the winter and by spring or summer it will be ready to be put on the market! That way you know you got the best deal on that property and you can sell it when the demand is high. Now that you know fall and winter are the best times to buy, will you be using this to your advantage? What are something other things that you look for when purchase or selling a property? Leave us a comment below!